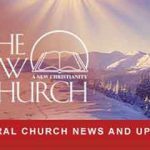 A couple of years ago, a friend told her about NewChurch LIVE, a church that had some “great music.” Although Deborah liked the music, she was intrigued by the way this church encouraged personal thinking, and life application. Having lost interest in organized religion, Deborah noticed the small group there called “Rethink Church,” and she joined right away. Through the connections she made with others in the group, she felt she had found her true church. She now says, “I think small groups are essential – they’re what church is really all about.” One of the people she met in this group, an older gentleman named Bob, would soon become her mentor and close friend. Having been raised in the New Church, Bob was eager to share what he knew with Deborah, and Deborah was eager to hear Bob’s perspectives. 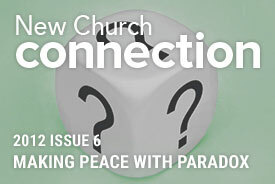 A few weeks after finishing “Rethink Church,” Deborah and Bob joined the small group Pause: Make Space for God. Having had very little experience actually reading the Bible, Deborah was amazed at the depth of study. “We’d read a little bit from the Word – just a nugget - and then we talked about it the whole time and shared our own perspectives. To me that was so cool.” For example, one of the small group activities involved reading and acting out the story of the prodigal son. This led to a powerful and insightful discussion, leaving Deborah amazed by the amount of meaning that could be drawn from a single story. Deborah has been able to witness the positive effect of this philosophy on the members of the congregation. When there is a death, she notices that although people are sad, there is also a sense that this person is moving on to the next phase of their journey. 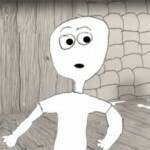 This new way of seeing life and death stands in stark contrast to Deborah’s childhood experience. Some of Deborah’s friends have asked her about her new church, and she carries a small pamphlet with her to explain the differences between New Church theology and the more traditional Christianity. One of Deborah’s friends became interested and now attends NewChurch LIVE services as well. 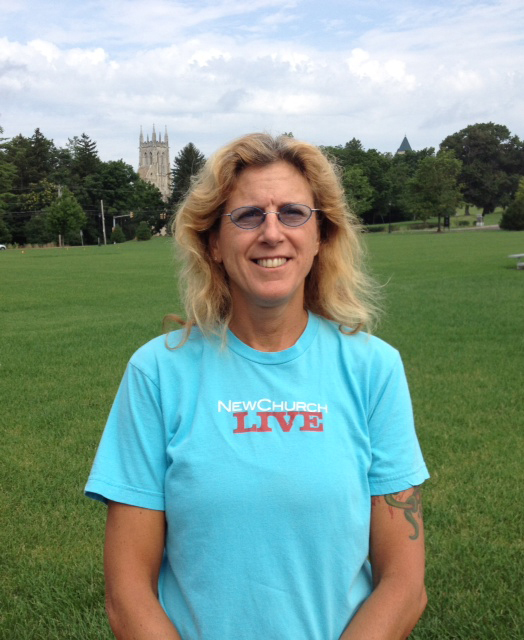 Those at NewChurch LIVE are thrilled to have Deborah’s lively presence in the community. She stands as a reminder of the many people in the world who may also be grateful to learn of what Swedenborg’s writings offer. Deborah, also known as “Deek,” loves her work as an elementary school art teacher, time with her husband, her golden retrievers, and her motorcycle. Learn more about small group programs you can get involved in today.